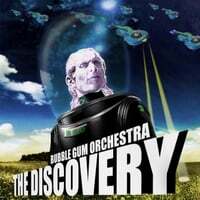 Bubble Gum Orchestra-The Discovery. A 2013 release I missed was the latest from Michael Hildebrandt, a/k/a Bubble Gum Orchestra. As there haven't been any hints of Bleu and Mike Viola reconstituting L.E.O., this is where you'll have to get your fix of new "ELO" music. As on his previous releases, Hildebrandt is anything but subtle with his ELO homages and the title of this disc alone indicates that. So it wouldn't be a surprise that the best track on the disc is an "Evil Woman"-styled proto-disco/rock track called "Evil, Evil Girl". Other treats include ihe jaunty "Lovely Days, Lovely Nights", which has a hint of "Mr. Blue Sky" about it; the frenetic "There Goes My Baby", and the catchy "Until You Say Go". Fun stuff, and since Jeff Lynne isn't going to be walking through that door anytime soon, a must for ELO fans. Baby Scream-Greatest Failures. Juan Pablo Mazzola has had enough releases as Baby Scream to warrant his first-ever compilation, which he's self-deprecatingly titled Greatest Failures. While they may be "failures" from a commercial perspective, there's no failure of quality here and for those who have until now been immune to the charms of his Lennon-esque musical stylings this is a great opportunity to catch up. Thanks to Bandcamp, you can visit (or re-visit) all these tracks yourself, but if you want to know my favorites they're the languid "Mars", the sneering rocker "Every Day (I Die a Little Bit)", the gentle and melodic "The Riots", and the twisty "Nicole". How does the old song go? "I scream, you scream, we all scream for Baby Scream". David Bash's Best of 2013, Part 2.
e. those which were previously unreleased but are “old” enough to where they should be considered reissues. ***was released in Japan only in Sept. 2012, but I decided to rank it in 2013 because nobody I know, including me, had been aware of it until 2013. I know it doesn’t look like a various artists box, but it includes all the solo issues by various members of The Millennium. David Bash's Best of 2013. Those marked with an * are LP-only releases, those with a **are download-only. a. I wait until June of a given year to post my list of the best of the previous year, when nobody cares anymore. b. These albums simply never get ranked, which would be a damn shame. So, I choose to do it this way. If you want to scream bloody murder that some of my fave albums of 2013 were “released” in late 2012 (“released” is in quotes, because often that means a download on the artist’s bandcamp page), then by all means, get your jollys. Me, I’m going to do what makes sense. Disclaimer alert: I’m not a big fan of EPs, as they always seem to leave me wanting more. For this reason, I never seek them out the way I do full-length albums, and 2013 was no exception. At the end of 2012 I promised myself that I would more actively seek out EPs, but unfortunately I didn’t. For this reason, I’m limited to a Top 5 that I particularly enjoyed, but please don’t take this list as an end-all be-all; there are plenty of other fine EPs out there! 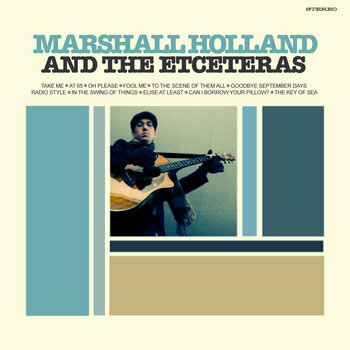 Marshall Holland-Marhsall Holland & The Etceteras. After returning to the scene in 2011 for the first time since 2004 with a new EP, Marshall Holland is back with his first full-length in a decade and it's the first standout pop album of 2014. Continuing in the same vein as previous releases, the San Franciscan offers up his winning mix of Posies/Brendan Benson-styled pop that also brings to mind the likes of Phil Angotti and Ken Sharp. "Take Me" is an amiable opener that shows Holland's songcraft at its finest, and the ruminative "At 65" is like a grown-up "When I'm Sixty-Four". Meanwhile, "Oh Please" is first-rate jangle pop, and the primarily acoustic "Fool Me" is another melodic gem. Also included here is "Radio Style", released as a single last summer, in which Holland decries the state of radio today and makes a well-earned plea to listen to more music like his, done so of course in the most melodic of styles. The album officially drops this coming Tuesday, but you can pre-order at Bandcamp. 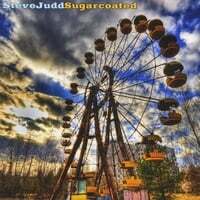 Steve Judd-Sugarcoated. Ottawa's Steve Judd brings up a mix of classic rock and power pop from north of the border with Sugarcoated and he isn't messing around, serving up a collection of crunchy melodic rocking tunes with sugar coating. The title track kicks things off in fine fashion (even mentioning the Russian mafia! ), and "Takin' Us to Task" is a melodic rocker that splits the difference between Tom Petty and The Replacements. Elsewhere, "Lost and Found" slows things down a bit yet still rocks melodically, "99%" boasts a chorus that'll stick in your head, and "Liquid Courage" boasts a high jangle quotient. And Judd closes things out nicely near the end with the power ballad "Testament". This is a fine rocking disc, and I'm not sugarcoating things. The problem with doing year-end best-of lists in December is that the music community doesn't stop releasing new material at any point during the year, meaning lists like mine (compiled in mid-December) will miss out on a few strong releases that come out in the latter half of the month. Typically I push these into my lists for the next year, and here are two excellent releases that didn't quite make it under the wire for my 2013 lists. 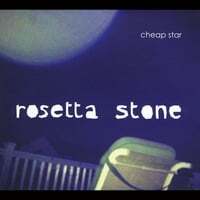 Cheap Star-Rosetta Stone EP. Although their name is a nod to Cheap Trick and Big Star, the French band Cheap Star sounds more like The Posies than either band (although the Posies themselves were heavily involved in the resurrected Big Star before Alex Chilton's death). This isn't a coincidence, as they've toured with The Posies and Ken Stringfellow produced this EP (as well as their 2009 debut Speaking Like an Elephant), and Stringfellow and Jon Auer play on the record. This time around you get six tracks that fit in comfortably on any Posies compilation, from the midtempo rocker "Crushing the Zeros" to the lovely, elegiac "A Song for You". If you like the Posies at all, there isn't much risk here. 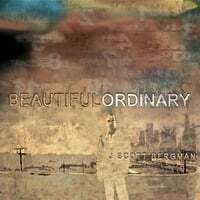 J Scott Bergman-Beautifulordinary. Calfiornia's J Scott Bergman has crafted a wonderful mixture of folk/rock and indie pop on Beautifulordinary that owes much to the singer/songwriters of the 70s. In fact, it reminds me quite a bit of the late 90s/early 00s Pernice Brothers records, especially The World Won't End. "The Exit" opens the proceedings in majestic fashion with an intricate melody and soaring choruses, while the uptempo title track is first-rate guitar pop. Meanwhile, having extensively mentioned The Posies in the review above, I'd be remiss not to point out that "On Earth as a Room" has a Posies vibe, while the rocking "Black Snow" is hands-down the catchiest track on the disc, and the Beatlesque "Old Songs" isn't far behind. I'm a bit disappointed I didn't catch this one before making the 2013 list, because it would easily be top 20 material. Wait until next year (er this year), I guess.